Seattle, WA—Founders David Vanderwaag and Sebastian Wright are proud to announce the successful October 2015 launch of their new Seattle based company, Zooken.com. Zooken.com is an online platform that allows consumers to search for strains by zip code. Additionally, Zooken.com is a full-service marketing company for other businesses in the cannabis industry. The founders at Zooken.com aim to provide an entirely new online platform to connect consumers and retailers in the Washington cannabis industry. Their Find Your Strain search feature allows consumers to research their favorite cannabis strains and browse listings for the best prices and products. Zooken.com offers a free year-long, no-obligation membership to cannabis providers in the Washington area that are looking to list their inventory on the site. Once enrolled, providers will also get to create an info page to advertise their location, services, and mission. In addition to the exposure it provides for local cannabis providers, Zooken.com is expanding to include advertising and marketing services for retailers in the medical and recreational cannabis industry. Their marketing experts are offering services to assist providers in this budding industry with branding, websites, SEO, graphic design, copywriting, and more. 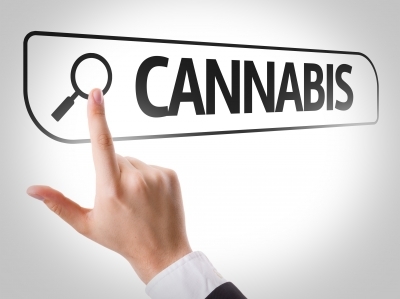 Cannabis companies can also set up ads on Zooken.com to capture the unique audience that uses Zooken.com everyday. As the cannabis market continues to grow in states where it has been legalized, the founders at Zooken.com are committed to changing the perception the public has about the industry and cannabis use in general. Their professional site and marketing services allow consumers to research strains in an organized, educational way and help retailers break the mold with innovative marketing strategies.